Human resource increasingly gaining significance in the overall development of the country, development of education infrastructure is expected to remain the key focus. Under the current proposed scheme of 'Study in India’, Indian government is aiming to make 10 public and 10 private institutions world class. Further, it is also aiming at opening of IIT’s and IIM’s in new locations as well as allocating educational grants for research scholars in most government institutions. Government of India has announced plans to digitize academic records such as degrees, diplomas, mark sheets, migration certificate, skill certificate, etc from secondary to tertiary-level institutions into a National Academic Depository (NAD). It is also signing MOUs with countries for learning, skill training and job assistance. All this for sure spells the Indian government’s motivation to encourage international students to ‘Study in India’. A major prerequisite to this is making the student visa for India application and issuance process completely seamless. India offers various kinds of visas, depending on the purpose of visit; student visa is a visa specifically for the students who desire to come to India for education purpose. Student Visas are issued for the duration of the academic course of study or for a period of five years whichever is less, on the basis of letters of admission from Universities/recognized colleges or educational institutions in India. Student visas for India can be obtained from any of the Indian Missions. The children of NRIs and PIOs cardholders need not procure a student visa. Other international students need student visa for courses up to M.Phil level or research visa for Doctoral level courses. · Self- financing students need to procure confirmed letters of admission from universities or recognized colleges and institutions in India for obtaining the regular student visa. · If you are on Government of India scholarship, the respective Indian Missions would be advised byIndian Council for Cultural Relations (ICCR) to issue a regular student visa after your admission in an Indian university is confirmed. 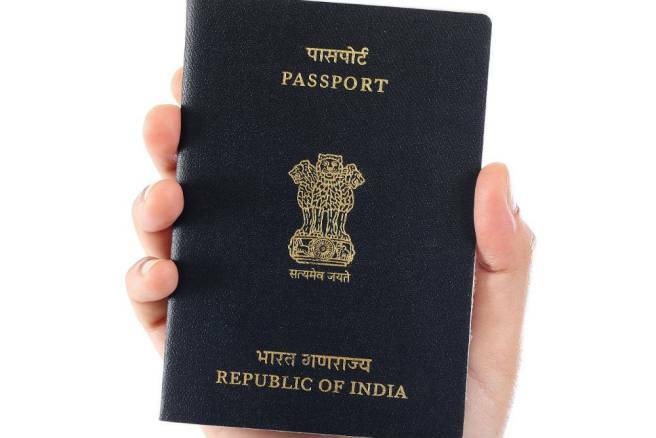 · Passport valid for a minimum of six months beyond the date of intended departure from India should accompany your visa application. · Students holding other nationalities (other than the country where applying for visa), should submit proof of long-term (at least three years)/ permanent residence in the country (where applying). · For citizen of other countries, a reference has to be made to their country of residence for which an additional fee is applicable and will involve extra processing time. Please refrain from making inquiries about the status of application during this time. · If you are coming as a research student, synopsis of the research project countersigned by the sponsoring institution in India along with letter of approval are no objection certificate from the concerned Ministries in India should be submitted for necessary visa. · The Visa fee structure depends on the nationality of the passport holder and type/duration of visa applied. These fees are payable in the local currency as well. Please check with the Indian embassy in your country for exact visa fees. · Visa fee is charged once at the time of issuance of Student visa for completion of the course or for 5 years whichever is less. · In case of 'Provisional Student VISA' when a student seeks regular admission in any college/university then one time course fee is charged which is valid for the duration of the course or for 5 years whichever is less. If the visa is issued for a period less than the duration of the course, then the visa would be extended by the concerned authorities without charging any additional fees. Provisional Visa: Students who do not having firm letters of admission from universities or institutions are issued Provisional Student Visa by the Indian Missions abroad, on the basis of provisional letters of admissions. However Provisional Student Visa is valid for 3 months. Within these 3 months, your admission needs to be confirmed otherwise you will have to leave India. On Arrival: Foreign students holding Student Visa of more than 180 days are required to register himself/herself with the local Foreigners Regional Registration Officer (FRRO) within 14 days of arrival. India has an inclusive learning system; that incorporates parallel learning programs along with higher education opportunities.Beginning with specialized open universities like IGNOU offering distance learning programs to incorporating latest versions of digital and eLearning options; foreign students can choose to learn a variety of subjects and courses and maximize their learning opportunity during their stay in India- Visa will be granted and fees collected based on course that has longer duration. Students can also get registered on Admissiondesk.org, it acts as a one point contact base for all foreign students related query, helps them scan the institutes and view course options and select from a wide base of programs available on-campus or online. It furnishes them with detailed admission for foreign students in India process, visa application formalities, accommodation suggestions and a general over view of life in India. The interactive platform helps address real time queries of the students and enables them to submit application forms directly to the institutes and colleges registered.